A bomb attack in Tehran killed one nuclear scientist and wounded another on Monday, Iran’s state TV reports. According to the channel’s website, attackers riding motorcycles attached bombs to windows of the scientists’ cars as they were driving to work. The first blast killed Majid Shahriari, a member of the nuclear engineering faculty at Tehran University. 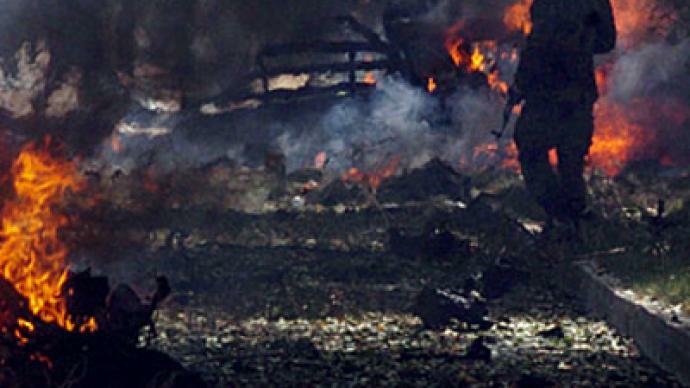 The second explosion seriously wounded Fereidoun Abbasi, a nuclear physicist. These are not the first attacks on Iranian nuclear scientists. Two others have been killed in recent years. Iran suspects the West may be to blame and that it is an effort to undermine the country’s nuclear program. Kian Mokhtari, a journalist and broadcaster in Tehran, says that Iran’s Atomic Energy Program is a public organization and the scientists involved with the program are known to the IAEA. However, Javedanfar also emphasized that all options are possible at this point in the investigation.